Running a managed hosting company is tough work – it’s a brutally competitive industry, with technically challenging processes. The turnover rate for the industry is quite high – yet often times, the solution starts internally. So what’s a possible secret sauce to the managed hosting woes? Through innovative ideas and programs and utilizing the best tool you have – your employees. There is nothing more powerful for sales, awareness, and growth than employee advocacy, because they are trusted by the buyer and network all day long in their respective jobs. Social media and advertising have one thing in common: people. It begins and ends with the engagement of people because they’re the ones telling others within their network how much they love your product or service. If you don’t have them, you won’t have a company for long. Add to that the most valuable group of people within the ‘people category,’ and those are your employees. By offering referral programs, special offers, bonuses, and exclusive opportunities or rewards, your employees will become a power base too strong to topple and too committed to leaving you which is the best win-win your company could have. Taking new steps to engage your audience through social media platforms isn’t just connecting your buyers to your social media sites. It isn’t just about using your employees as advocates and promoters of your company and neither of those things means anything in and of themselves. However, if you have your employees outreach with meaningful and valuable content on social media sites then your current and potential customers start associating those expressive and valuable stories with positive emotional feelings and that leads them to you and your company. How can employee advocacy do any of that and how do we know this? Employee advocacy is one of the most powerful goals that most companies forget to put in their corporate report nor do they utilize the empowering reach their own employees can bring to the table and in today’s day and age, that is a straight-line to failure. 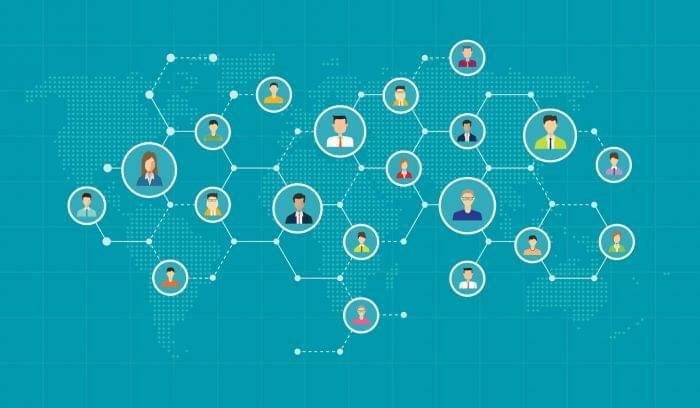 The digital age has consistently and continuously proved employee-owned social channels create a domino effect which reverberates throughout buyer and user populations. Cisco, a major worldwide and successful corporation feels, through employee advocacy we can increase sales and outreach by encouraging employees across the company to be more active on social media. In fact, a recent study by Ambassador, a worldwide marketing software company found 71% consumers who have a great brand experience through employee social media tend to recommend the brand to friends and relatives. Percentage of employees who create great brand experiences on social media which then increases sales. DrumUp realizes that social media is ripe with opportunity for employee advocacy to grow business. It’s one of the most cutting-edge yet straightforward and user-friendly employee advocacy platforms to be used for that purpose by providing daily streams of fresh content recommendations for social media customer impact growth. A small sampling of what social media sites your employees utilize. When your employees are on a break at work or go home, they use social media to research, receive recommendations on purchases they want to make, talk about an experience they had at a local restaurant, retail or business and make new friends. On July 31, 2018, Nielson discovered adults spend nearly half a day interacting with media sites and 18+ adults spending on average 45 minutes per day on social media. That is significant time no matter how you look at it. If during that time, your employees were advocating about the benefits of your company’s product or service and delivered that message with meaningful and insightful content, how many think this would make a substantial difference to a company’s sales or service customer numbers? Your company should immediately and without delay start an employee advocacy program, if they don’t already have one. Fujitsu is a company that created an employee advocacy program which hugely extended their reach.They liked the employee advocacy results so well they created a platform for finding and sharing content easier with less time needed for their employees to use. Their first employee advocacy program started with 700 employees from eight countries. The employee advocacy program’s creation has increased the reach of Fujitsu by 70%. Another logical step in creating your employee advocacy program is to create an employee web portal to share information which is then uploaded to outside social media sites. Littlebits is a company considered a change maker and use social media as a branding tool through their own employee’s social media sites.If you want to Google this company, one of the many images and links you will see are customers giving great reviews in fun social media accounts which feature happy employees, and a blitz of positive information shared on social media about the work the company is doing. Have you run out of ideas on how to create or use an employee advocacy program so your sales go up and the results become a winning combination for the company and employee?Well, look no further than IBMIBM postures their employees as thought-leaders in each of their respective fields and then posts the employee expertise on social media sites such as YouTube. The Edelman Trust Barometer has measured this type of employee advocacy as the best of the best in that buyers and customers tend to trust companies who use their own employees as their experts. Web hosting companies are seeking ways to increase and retain customers and they have at their disposal something none of the companies listed above have and that is a built-in online web presence and expertise that represents their greatest strengths. It is what they do in their daily operations to bring in revenue. They stand to have the most significant impact just by being who they are and doing what they do in technology and delivery of web hosting sites. Don’t wait until tomorrow to begin or increase your employee advocacy programs, because by tomorrow, there may well be another web hosting company leading the charge. Empower & leverage your employees – that’s how you stand out.